Undoubtedly Google chrome is now considered as one of the most powerful browser on web. It’s everywhere with pool of features and setting options according to your convenience. You have all freedom to use it the way you want it you just need to adjust the settings. The reason why we prefer google chrome over other browser is because of its considerably high speed compared to some other well known browser like Mozilla firefox, opera, safari etc. It also provides all other important features which makes it more productive then other browsers. It is good in many terms but if ram is considered as a resource it consumes high ram memory consumption. Which means that if you have many tabs opened, it keeps on loading infinite scrolling pages resulting in low processor speed which is kind of cons. Earlier we have suggested you some powerful tips to increase ram speed. 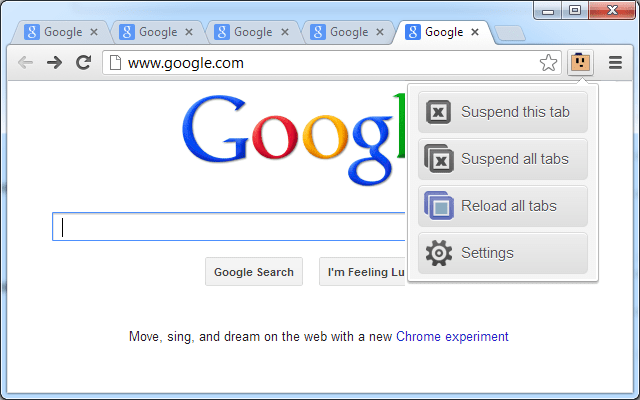 Now here are some powerful tips to decrease excess of ram usage using google chrome extensions. One of the known powerful as well as popular plugin is onetab. It have potential to decrease upto 95% of chrome memory utilization. All you need to do is install onetab. 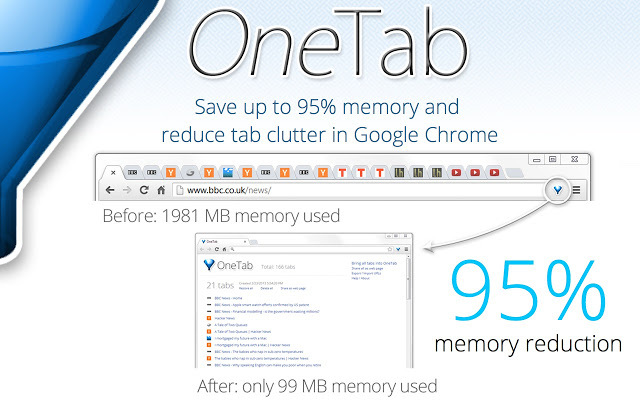 After the installation phase, you will see a blue funnel icon of Onetab next to your chrome address bar. Everytime we tend to open a new tab they consume more memory so what it does is when you click on this icon it temporary disable inactive tabs. So it releases the memory consumed by inactive tab which can be used by currently working tab. If you want to resume to inactive tabs you just click on the icon again. Advertisements are curse… they keep on consuming time take you on other page.. really annoys you specially me. 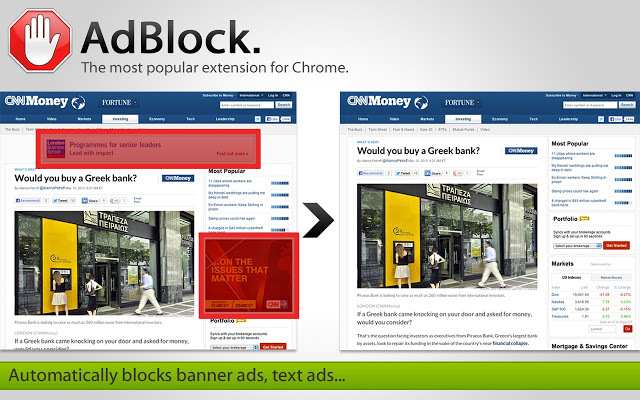 So if you want to block these advertisements then Adblock is a powerful blocking plugin. All websites support dvertisements to make money. Even youtube have advertisements now. It increases page loading time and moreover consumes more resources. So by using it you can easily get rid of this advertisement disesase of chrome. There is only problem with one tab and that is when you disable it the inactive tabs are reloaded again well it’s not a big overhead but still if you don’t want to ignore this the go for The Great Suspender it provides you with alternative option. It will simply suspend your mountain of tabs from reloading releasing the memory used by them which can be used in your currently active tab. Somewhat similar to The Great Suspender but it will automatically monitor your tabs. You just need to make your that none of your table is left idle. 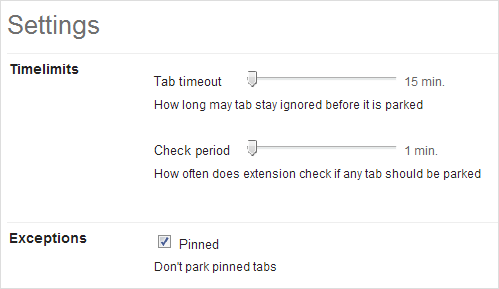 You can also set a timer for how long you would like to inactive your tabs.